Sand Valley Golf Course at Sand Valley. Designed by Bill Coore & Ben Crenshaw and named “Best New Course You Can Play” 2017 by Golf Digest. 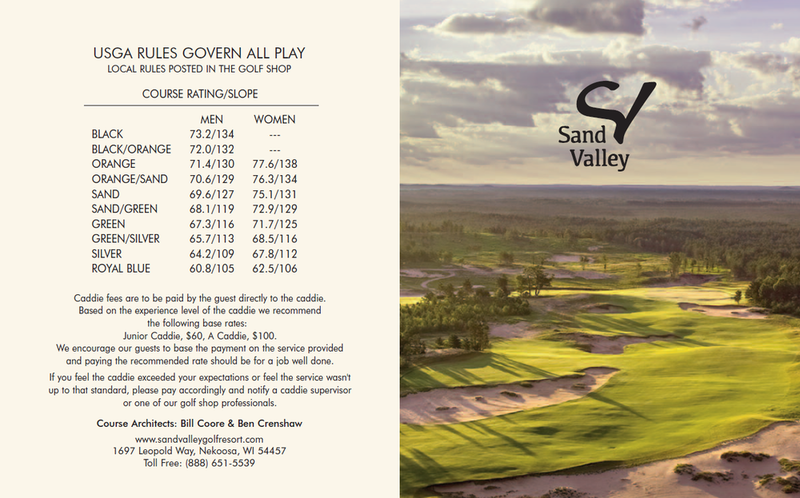 The 6-hole routing on our Sand Valley course includes holes 1-5 with an alternative hole bringing you back to Craig’s Porch and is a perfect way to finish an incredible day of golf.